Classes, lectures, and seminars probably provide some of the more inspiring, intellectually challenging experiences students will have while studying at Berkeley. Between all work and stress devoted to these obligatory courses, however, what seems to be forgotten is the multitude of fascinating conferences, events, round tables, and book or poetry readings hosted on the Berkeley campus that gives students the opportunity to apply and expand classroom knowledge elsewhere and truly enrich their studies and overall experience at Cal. Take the time to look through the following (abbreviated) list of upcoming events on campus and attend one that peaks your interest! The Townsend Center for the Humanities presents Literary theorist and critic Fredric Jameson as Avenali Chair in the Humanities, 2011-2012. The William A. Lane Professor in the Program in Literature and Romance Studies at Duke University, Jameson has published a wide range of works analyzing literary and cultural texts, while developing his own neo-Marxist theoretical perspectives and offering important critiques of opposing theoretical schools and positions. Professor Jameson’s best-known publications include Postmodernism, or, The Cultural Logic of Late Capitalism; The Political Unconscious; and Marxism and Form, and his most recent works are The Hegel Variations and Representing ‘Capital.‘ He has received the William Riley Parker Prize and the James Russell Lowell Prize. In 2008, Professor Jameson was awarded the Holberg International Memorial Prize and in 2011, the Modern Language Association awarded him a Lifetime Achievement Award. From the Academy of American Poet’s Prize in 1968 for Firstborn to the Wallace Stevens Award in 2008 for “outstanding and proven mastery in the art of poetry,” Louise Glück has a place in the contemporary canon of American poetry. She has received the National Book Critics Circle Award and the Pulitzer Prize along with fellowships from the Guggenheim and Rockefeller foundations. In 2003-2004, she served as U. S. Poet Laureate. Her latest collection of poems is entitled A Village Life. A New York native, Glück is currently the Rosenkranz Writer in Residence at Yale University. The Observer’s Robert McCrum declared 2011 a “boom year” for translation. It saw the anniversary of the King James’ Bible, the flourishing of literature in translation (Stieg Larsson, Haruki Murakami) and a new English version of the Roman missal. At the beginning of 2012, we may all be familiar with Google Translate and David Bellos’ much- celebrated book on translation. 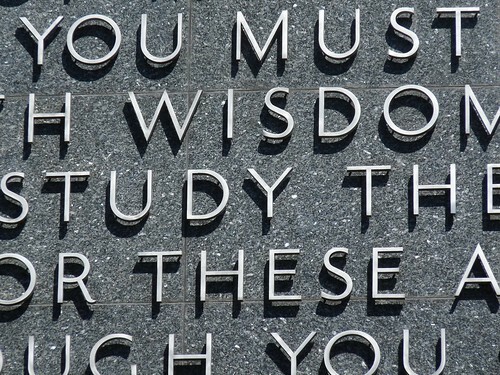 Where translation is not flourishing, however, is in higher education. In this lecture, Mari McLaughlin, Assistant Professor of UC Berkeley’s French Department argues translation deserves a more central position in higher education in the United States. She begins by considering the place of translation today: why is it considered old-fashioned as a pedagogical tool? Why are there so few courses and programs in translation? Why should it be accorded a larger role in higher education? The main section of the lecture focuses on translation from the perspective of a language instructor: what can a theoretical approach to translation reveal about languages, people, culture, and texts? How can translation be used in the language classroom and incorporated into language programs? The final section looks to the future: what do new media, social networking and globalization mean for translation? Lecture by Columbia University’s Vincent Debaene, followed up by a seminar on Friday, March 9, from 12-1:30 pm in 4104 Dwinelle. Lecture by media artist, playwright, novelist, and Curt Hugo Reisinger Professor of Slavic and Comparative Literatures at Harvard University, Svetlana Boym. Boym’s written work explores relationships between: utopia and kitsch, memory and modernity, and homesickness and sickness of home. Her publications include Another Freedom: The Alternative History of an Idea, Ninotchka: A Novel, and The Future of Nostalgia, among others. The power of literature is to imagine worlds. From Wolfram von Eschenbach’s Kingdom of Zazamanc to fantastic imaginings of faraway lands in Medieval and Early Modern Cosmographia and from Calvinist cities upon hills to Kafka’s penal colony, its renderings and attempted realizations have fueled the imagination, sparked debate, and far too often led to disaster. The world elsewhere may, following Thomas More, be called Utopia, but this is both a ‘good place’ and ‘no place,’ making such constructions inherently fraught with challenges from pragmatism and problematic in their definitions of what ‘good’ is. These worlds are often fantastic, but can also be terrifying; are often familiar, but upon closer inspection utterly alien. They are ‘imaginative spaces’ in which we work through the hopes, fears, desires, and possibilities that human experience engenders. They provide the means through which we imagine ourselves as part of a world, a universal community. The Internet and digital media grant us new power to simulate our imagined worlds. But how have the nature and use of these imagined worlds changed in our increasingly interconnected and globalized age? In this talk, the shifting textual experimentation by Chinese women writers during the moment of tremendous twists and turns of 1990s will be explored, singling out Wang Anyi and Chen Ran as two examples among many to signal their desire for new representations of postsocialist text of the feminine. The interconnected and interdependent network of female bodies, geographical imagery and national ideology will be unveiled to show the new possibilities of defining the bodily nature of a text. In previous centuries, under patriarchal regimes, women could not express themselves openly and if they did they were not always taken seriously. Women who desired to see a change in society had to make use of literary genres, such as utopia, to portray ideal societies in which they would have a relevant role and be equal to men. As far back as 1666 Margaret Cavendish wrote an utopian work in which the main idea was that education was the basis for equality between men and women. In this talk I will develop the notion that this utopian tradition has continued to our own times. While utopias written in the 18th Century adopted the form of travel narratives, the ones written in the second half of the Twentieth Century were presented as science fiction utopias or, more commonly, dystopias. Some of the desires expressed in these utopian works, such as gender and race equality, have found a realization in most countries in our present society. Both African American studies and Asian American studies center upon the exploration of the two concerned minority groups in the depictions of literary works. In the analysis of the literary masterpieces of two representative figures in the respective field, this paper intends to reveal some intriguing phenomena and understanding of the complexity of their cultural experiences through the web of intersectionality theory. During the past eleven years, Afghan women have been kept in the spotlight and the success of Afghan government has been, to a large degree, measured by improvements in women’s status. The quest for “saving” Afghan women has led to hyped political promises and unrealistic social policies. Meanwhile, donor-driven agendas have effectively silenced Afghan women in whose name these gender policies have been initiated. What’s more, these gender policies have not always been congruent with Afghan women’s needs and gender interests. It is time now to re-examine these policies and social programs, measure their effectiveness, restore Afghan women’s voices to the design and implementation of gender reforms, and allow them to chart their own path to empowerment. Ashraf Zahedi is a sociologist and former Beatrice Bain Scholar in Residence. She is, with Jennifer Heath, co-editor of Land of the Unconquerable: The Lives of Contemporary Afghan Women, University of California Press, 2011. Ashraf and Jennifer are currently working on a volume titled Children of Afghanistan: The Path to Peace. You are invited to a grand party. Gertrude Stein and Alice B. Toklas are your hosts. Gathered in one room there are over 150 years of Americans who embody a rainbow of diversity, but have one thing in common—a non-normative sexual orientation. Here are the old and the young of many races and ethnicities. In text, image, and voice these individuals have taken their unique and often difficult life experiences and transmuted them into beautiful and fierce art. In 1919 a Crow Indian named Woman Jim explained life as a berdache in four words: “That is my road.” For the LGBT guests at this party—the poets and the novelists, the cartoonists and the classical composers, the drag queens and the blues singers, the starving artists and the superstars—this is their road. For more things you need to know about, click here.